Southern Dalmatia’s shining gem is Dubrovnik, of course, but there’s plenty of other gorgeous places to holiday in and things to see and do besides in this part of Croatia. We’re roughly covering the part of Croatia that includes the Peljesac Peninsula down to the border with Montenegro in this section – technically, the islands of Korcula, Mljet and the Elafiti islands are also in this part of the country but we have separate sections for those. 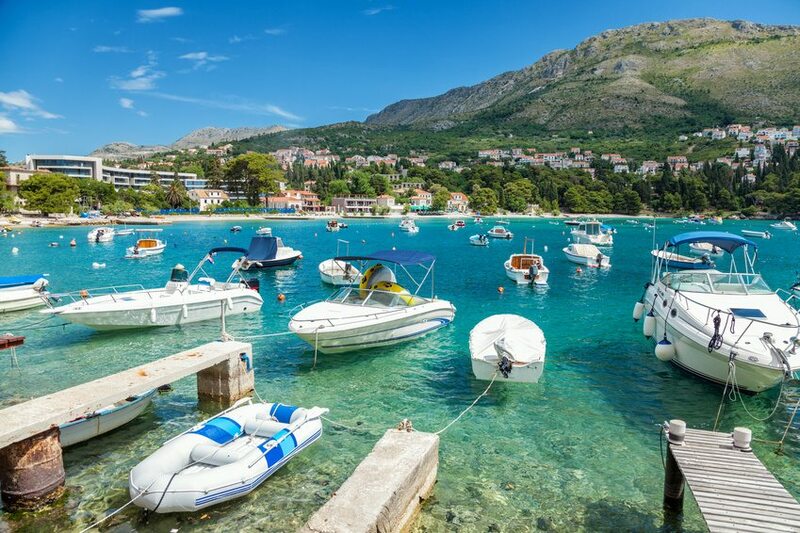 Some of the most famous destinations in South Dalmatia include Cavtat, Plat and Mlini, which are all south of Dubrovnik (and very close to Dubrovnik Airport). There is also Ston and Orebic on the Peljesac Peninsula, to the north of Dubrovnik. The Peljesac Peninsula is also famed for its wonderful wines – many of Croatia’s top wines are from this part of the country. One of the most pleasant things to do when visiting Southern Dalmatia is to go on a tour of some of the local wineries!